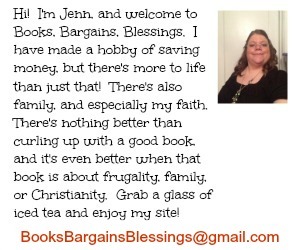 Books, Bargains, Blessings: And back to school. I am starting to take classes again. My main textbook is 900 pages long. Add in the additional textbook and that's another 300 pages. Add in the number of pages in my Bible in the Old Testament (which I'm assuming we will be required to read all of it) and that's a total of 2600 pages of reading! Wow. I'm going to finish up the books I have to review and then probably not review many more for a while. In fact, my textbook is almost 2" thick!